If you are just getting started with garment construction, this post will be a reference for you during your creative journey. However, these patterns are in no particular order; but they are all patterns that will help you hone your skills along the way. I am giving you my top ten.. (actually a few more) to help you start sewing garments with confidence! Without delay, we have shorts super fun to make! Learn about sizing, printing and matching a PDF pattern, cutting pattern pieces, seam allowance, elastic casings, running elastic through the casing and attaching bias tape! Next, this is a fantastic Raglan sleeve top! Learning all about knit fabrics in the process. Sizing, cutting layout for the pattern, making notches, seam allowance, matching pattern pieces, sewing with a stretch needle, how to handle knit fabric, and making bands from ribbing or knit. This pattern is fun to make; it includes pockets, shirring, and bias tape. You learn how to lay out and cut your pieces from the fabric, setting in pockets, seam allowance, french seams (optional), installing bias tape, and finally how to put shirring in a garment. Her Popover Poncho is also a great beginner sew! This pattern is a shirt or a dress, has fantastic details! Finding your size, cutting layout, notches, seam allowance, transferring markings, Y-seams, bias tape. This pattern is also ideal for woven OR knit fabrics! Same with the Juba Shorts, great design!! First, The My Dress was original as a dress pattern for beginners that still gives your body shape! This dress has darts, lined bodice, uses the burrito roll method, seam allowance, attaching the top bodice to skirt and invisible zip installation. The first thing to remember, do not be afraid of the hidden zip, the instructions for installation are top-notch! The Birthday Dress is also a fantastically easy sew but just doesn’t look like it. It’s deceptively easy to sew together, but it will make you appear to have been stitching for years! Then we have the Scout Tee, which is a great woven top pattern. This make will keep you working with seam allowance, cutting out your pieces, finding your size and installing bias tape. A fantastic confidence building pattern as you will be able to create top in a range of fabric types, this is the perfect pattern to practice and while exploring different substrates! I wrote a pattern review if you want to learn a little about it first! Meanwhile, this Australian pattern so fantastic! It’s a great slip on dress for the summer which includes set in pockets! Also, the techniques learned, bias binding, gathering the skirt, seam allowance, set in pockets, and darts. Also, check out the Bondi Top! The Out and About is a knit dress with a few different options; it comes in maxi or knee-length. The pattern has two options of sleeve length a long sleeve or 3/4 length. This design is also a fantastic pattern for really diving into a knit fabric. In the long run, if you want to learn how to use a serger, this is the perfect garment to hone those skills as well! Also, take a look at the Sugar Pop Top. Next, in line, The Renfrew top is one of the only tee-shirt patterns you will probably need! This design has three sleeve lengths and three necklines! Check out my pattern review for more info on this excellent top. Using knit fabrics, while working with a cutting layout, seam allowance knit needle, set in sleeves and attaching bands. It’s such a fantastic top! A fun wrap dress! Cashmerette has hit the nail on the head for fun and flattering clothes for the curvy body. Not plus size but curvy. This is easy to make, teach you a lot of great sewing techniques and have such a flattering silhouette! Not to mention, the cutting layout for this one is a little different, so, make sure to look at your pattern pieces before cutting them out. There is one piece that is both the left and right side of the pattern, and one is slightly wider to accommodate the wrap function of the dress, but other than that, it’s fun and easy sew! Generally speaking, find patterns that flatter your personality and body. I love clothes that have the boho look, but I quickly realized that style makes my body look bigger than it is. Also, take your measurements each time before making a pattern. Measurements can change daily, and we want to use the most current numbers to be successful. The sizing on the design is not the same as the size you wear in from a department store. The “size” of the patterns are still from the 1970s; the pattern measurements have not been adjusted in over 40 years. Is just a number that hasn’t been updated since the 70’s, remember it is only a number, not your self-worth. Just do it! 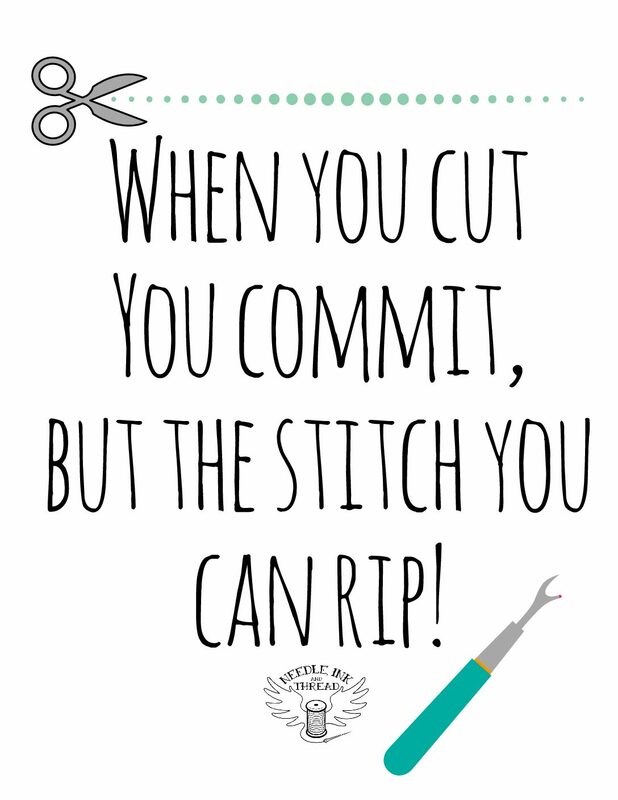 Start sewing, mess up, throw things away! Learn from your mistakes and celebrate all of your accomplishments. You can do this; it just takes practice! What pattern(s) would you add to this list?